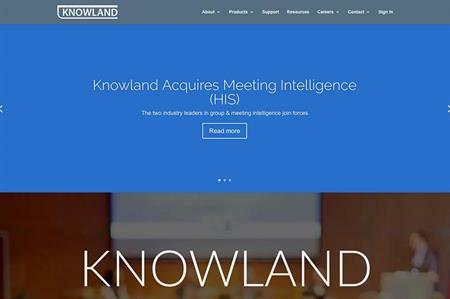 Software firm Knowland has entered into an agreement to acquire Meeting Intelligence (formerly known as HIS) from Newmarket International, a subsidiary of Amadeus. The acquisition, which is subject to closing conditions, enables Knowland to offer a robust platform of meetings market intelligence for the hospitality industry. The addition of Amadeus’ database of meeting activity should improve Knowland’s available data on groups and meetings, to provide a more comprehensive and solid foundation for group lead-generation and market intelligence. "We are very pleased to welcome the Meeting Intelligence customers and employees into our company and community," said Tim Hart, chief executive officer of Knowland. "By combining our extensive data, Knowland will be able to increase the effectiveness of its offerings as we continue building our next generation of products." In a separate agreement, Amadeus will also partner with Knowland to use its meeting intelligence product to enable Amadeus’ Delphi sales and catering customers to tap into the most extensive groups and meetings intelligence available to enhance their group business. "We’re excited to join Knowland to bring leading-edge solutions to our combined customer base," said Steve Reiser, the founder of HIS, who will become Knowland’s chief product officer when the acquisition is complete. "We’ve both strived to provide our customers with high quality products and service, and now together, we can focus on advancing state-of-art meeting intelligence." State of the Industry 2016: Is compliance the greatest challenge?